Vitamin B12 is a key factor in energy production, DNA synthesis, and a healthy nervous system. It also helps manufactured red blood cells. Your body does not make Vitamin b12, it must be consumed. 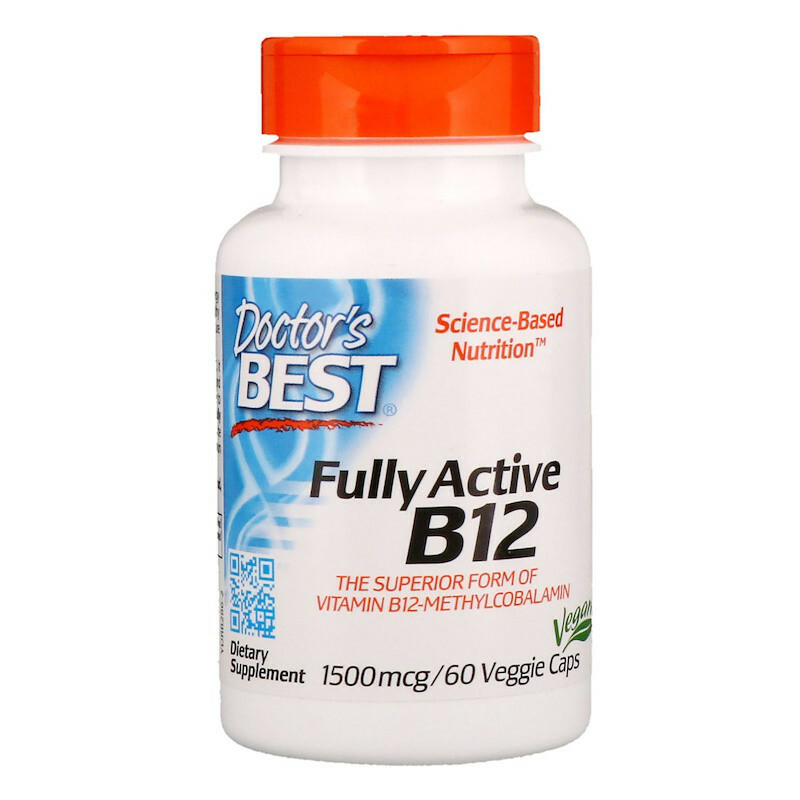 Various inherited and lifestyle factors such as diet contribute to vitamin B12 deficiencies. 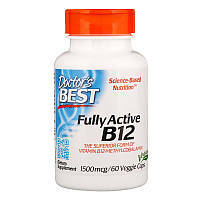 Doctor's Best Fully Active B12 provides methylcobalamin, the superior form of vitamin B12 for optimum absorption. 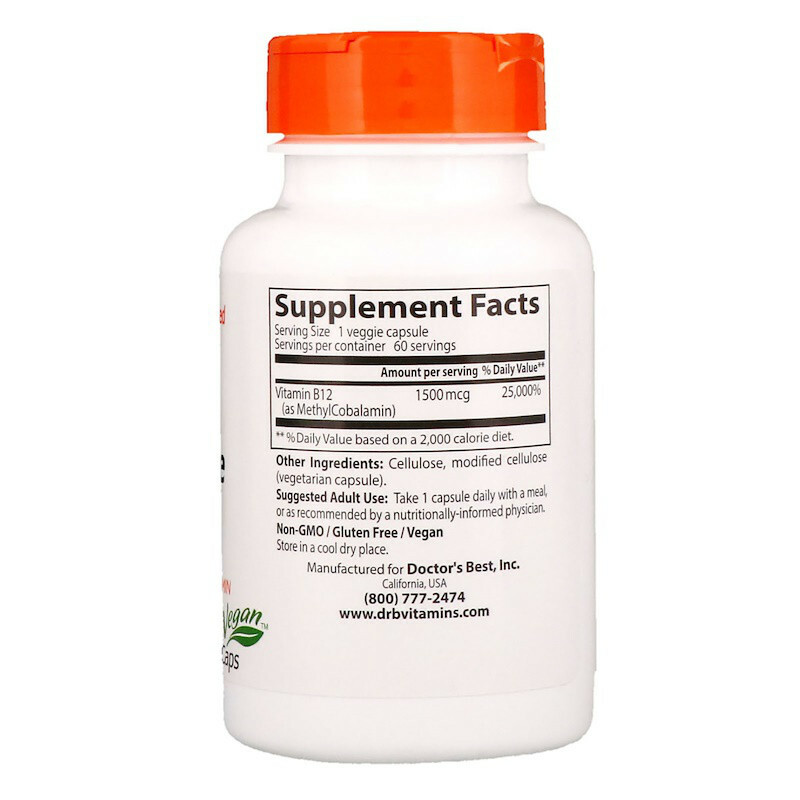 Take 1 capsule once daily with a meal, or as recommended by a nutritionally-informed physician. Cellulose, modified cellulose (vegetarian capsule). ** % Daily Value are based on a 2,000 calorie diet. Количество в упаковке 60 Veggie Caps шт.